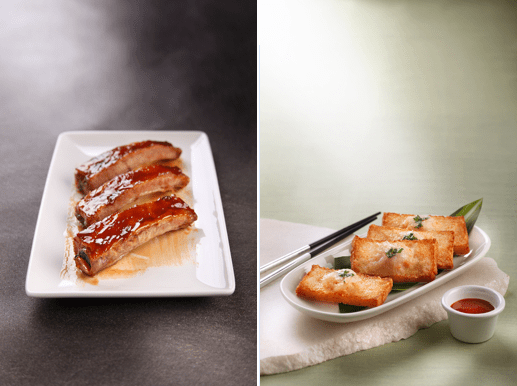 When a restaurant calls itself the master of both caramelised ribs and handmade pillow soft buns, you know you are in for a delicious cuisine mix. 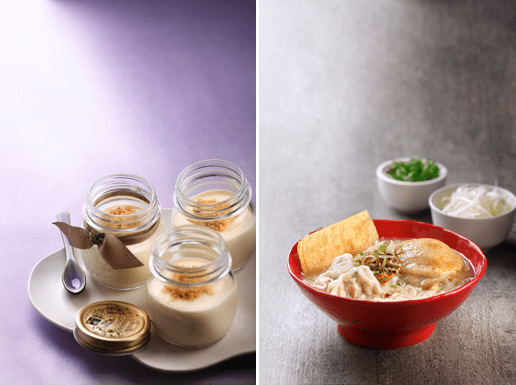 Filling up the space left by the old Mos Burger at Bugis Junction, SIFU is an upcoming café-restaurant serving up an innovative take on restaurant-styled meals at “cha chann teng” prices. The appeal targets the general Singaporean mindset of good food at wallet-feel-good prices, but we digress. If you noticed the generous Hong Kong label being displayed around the restaurant, the genuine Hong Kong chef team holds it up. In terms of taste, there is a distinct local adaptation to the dishes (less sauce, more fillings, bigger portions) saved for their Signature Ribs ($3.90). A bold interpretation served in savoury single-rib portions, this marinated pork chop is not a meal in itself – although there is this famous story of how a customer once ordered ten ribs to form his own rack paired with sweet potato fries. Good for an introductory appetiser, but our eyes were on the buns. Baked for 98 minutes and consumed in two, the Pillow Buns ($1.20) or 餐包 were a delight across the four different fillings ranging from traditional char siew (roasted pork), creamy sweet custard, creative azuki (Japanese red bean) and refreshing yuzu cheese. Don’t complain about the lack of fillings inside each bun because they are made using the same wrapping technique for a xiao long bao, leaving an air pocket cavity above the filling on its base. The Prawn Toast and Milk Pudding ($5.80) were clear winners of the meal, marking their spots in our stomachs with a smooth entry. The first featured a crispy punch of fragrant scrimp goodness, while the latter was a fluffy cream dessert salted with fine “sawdust” (finely crushed biscuits) topping. Just a heads up that the mason jar that came with it also makes for good Instagram #foodporn opps. If you are strapped for the month, go for the Roasted Chicken Thigh & Shrimp Dumpling Soup Noodles ($10.80) because the daunting name only highlights two out of the five bowl components. Featuring a rich double-boiled soup with dashes of Chinese wine as the base for their “special” beehoon, it comes with a huge chicken thigh, juicy fat dumplings, vegetables, egg, the fun mix of onions and ikan bilis, and a fried tofu sheet on the side. One of the top three dishes is the hearty Beef Stew ($10.80) so we guess it deserves a shout out, but at this point our minds are still with the buns. SIFU definitely has the room to grow into a local name after its first three months, but really, we expect most of the early crowd to be wafting in, following the sirens of the bakery. To always be with good selection of cheese, books, black dogs, and girls.